The colour is bronze, the nose fruity with some yellow fruits, the body rather with dark fruits and spices. Some walnut. 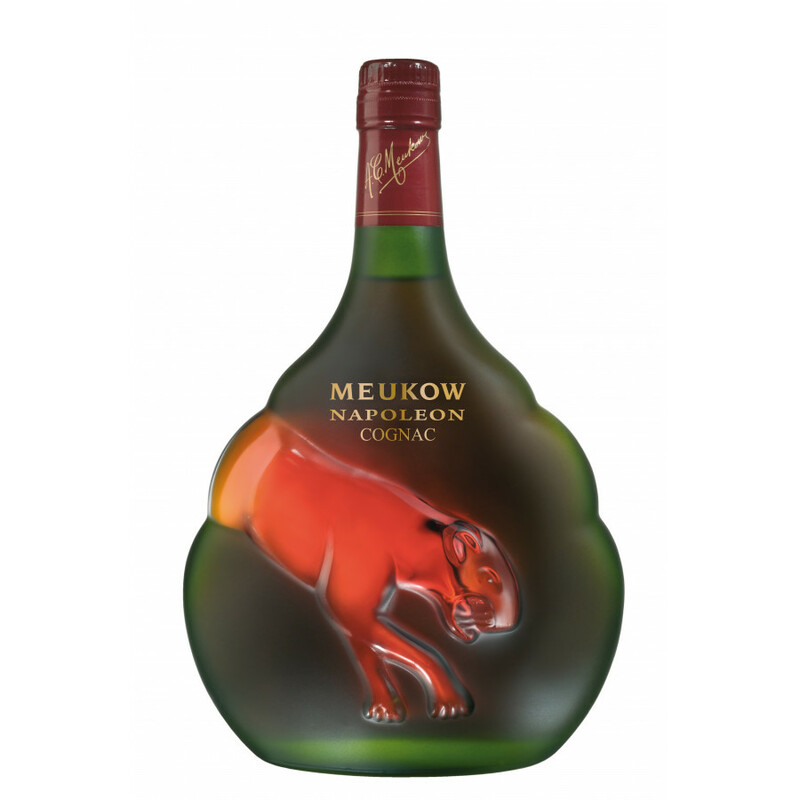 This Napoleon from the house of Meukow comes in an elegant red/green bottle.